If you had asked me not so long ago who Damon Runyon was I would have shrugged and made a wild guess that it was perhaps some long lost breed of apple. The name has an of aura of all that is good and comforting about the past; of something well worth the effort of cultivating in order that it won’t be lost. But Damon Runyon is not so much an apple from a time when life was simple, as a smouldering memory of the Apple; any large city in America where ethnicity and eccentricity, migration and mayhem give them a particularly unique taste. He was born Alfred Damon Runyon in 1880 in Kansas in to a family of newspapermen and ended up, via Colorado, in New York as a sports writer having dropped the Alfred. By all accounts he was a hardened drinker, gambler and smoker; though he purportedly dropped the drinking sometime after 1910 for the love of a woman he later married. The marriage didn’t last and she, ironically, died of drink related problems, by which time he had renewed a fling with a Mexican woman who became his second wife. But that marriage didn’t stay the course either and she left him for a younger man in 1946, the same year he died of throat cancer. 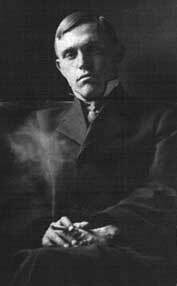 During his career Damon Runyon had a nose for picking out eccentrics and rubbed shoulders with the likes of the revolutionary Pancho Villa, Otto Berman, a mobster accountant and the journalist Walter Winchell. His first published works in 1910/11 were poetry, but the work he earned his reputation as a fiction writer for were produced in and about the post prohibition years of the 1930’s. It would be an easy mistake to imagine, given his background, that he was another Raymond Chandler. That he produced hardboiled stories about hard boiled gangster types, the pages littered with sneering Humphrey Bogart’s and high-heeled diamond edged dames who slithered into gloomy second floor offices in the dead of night and turned out to be bad news. I made the mistake myself when I was first introduced to him by my other half, a long time ardent fan who slips into Runyonspeak at the drop of a fedora. It’s very hard not to become fond of likes of Bookie Bob, Harry the Horse or Dave the Dude despite the often quite despicable things they do. What you see on the page are people first; humanity doing what it does best, being human, irrevocably flawed and responding to circumstance with a twist of forgivable innocence. His characters are not portrayed as overtly cruel or hard, but rather observed from a respectful distance and as such you can’t help but accept and forgive them, even feel sorry for them. In fact I found it very hard not to find myself imagining that it would be rather a hoot to live among them with all the intrigue, feuding, larceny, kidnapping, murder, drug peddling and drunken debauchery that went with it. As writers go he is my kinda guy, that is to say any writer who puts people before plot. Not that I have anything against the other kind of writer, but I wouldn’t want to emulate them. 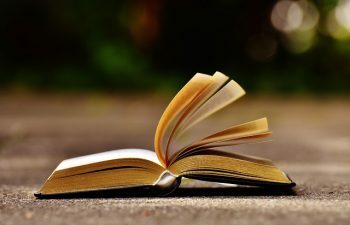 Plot, to me is something that grows out of the head of a character and crawls across the page on a journey of discovery. If I live to see 100, which I very much doubt, I will never lose my fascination for people and the weird and wonderful things they do. And I would hate to think that, as a writer, I missed out on an opportunity to sample something new or, mercy me, back off from a challenge.